Your Web Site is how many of your customers will get to know you and the products or services that you offer. It will often be their first and lasting impression of your business. Without good design and development, your website could reflect poorly on your company. Bay State Internet Services can help your company enhance its visual corporate identity and brand equity through a creative, compelling web site and Internet presence. Bay State Internet Services is unique because it combines the creative vision of a traditional design firm with a complete understanding of the latest technologies. Bay State Internet Services' unique Six-Step Program caters to the specific needs of the client whether the client is an individual designing a personal web site or a corporate conglomerate establishing a world-wide on-line marketing campaign. Bay State Internet Services evaluates the needs of each client's project individually and then selects the best people to create the website from a talented pool of designers, marketers, and programmers. We have found this is the best way to give you a tailor-made, compelling design and develop creative solutions to even the most unusual tasks. Bay State Internet Services' policy of "giving you more than you ask for" and our affordable pricing makes us the clear choice for anyone seeking a feature-packed, technology-driven Internet presence. No matter what your needs - a single-page site or 1000-page corporate community - Bay State Internet Services is the best choice. If you are not interested in a professionally designed interactive or dynamic website and just want something simple to put on the Internet, we offer our customers the ability to create and design their own website. 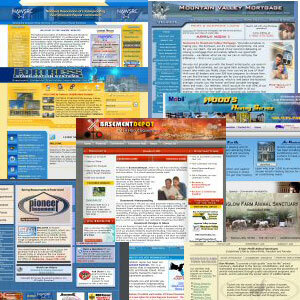 Our exclusive SiteMonster software has what you need! You can use our new SiteMonster web site creation tool today to easily create a FREE custom, feature packed web site. You don't need to know anything about HTML programming or graphic design. SiteMonster does everything for you step-by-step. You do not need any software installed on your computer to make SiteMonster work as the entire program and your files are stored on our servers. When you are finished designing your site the way you want it, you can download the entire site to your computer and just FTP it to your domain server. It is really that simple and it's FREE. Get started today! This page was generated in 0.004652 seconds !